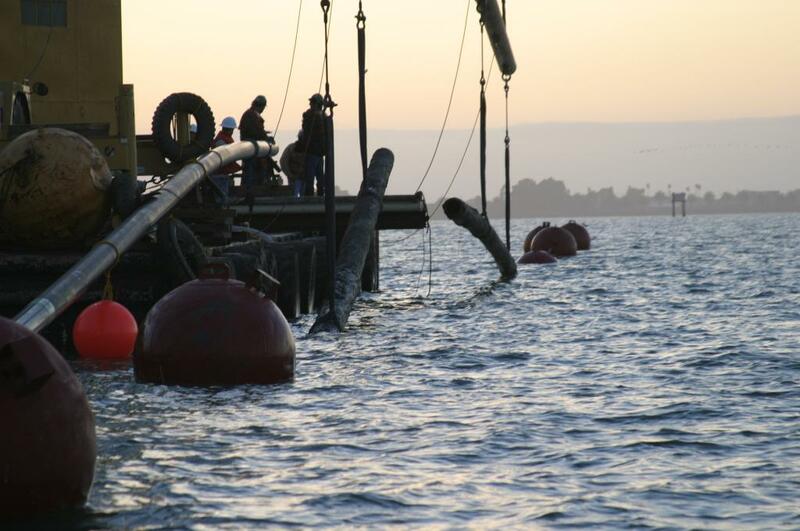 Natural Gas Pipeline Replacement - Global Diving & Salvage, Inc. Global performed marine operations on a pipeline replacement project, working as a subcontractor to ARB, Inc. 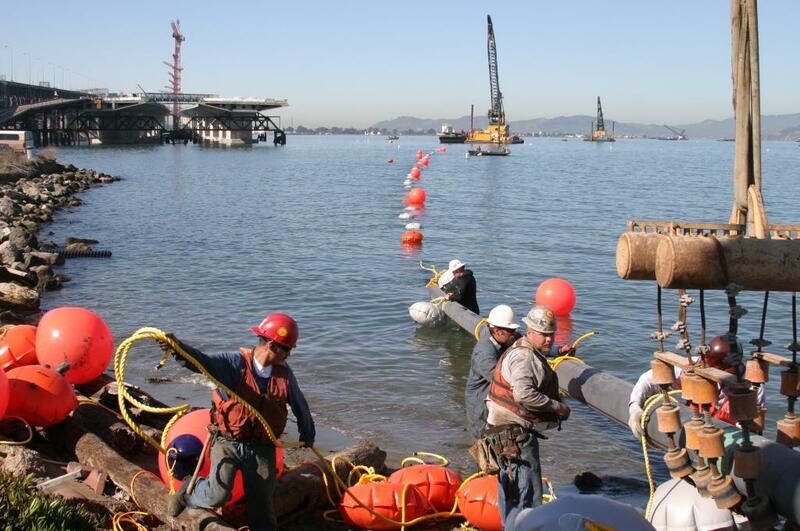 The project involved the replacement of 1,000-feet of an existing gas pipeline to allow for seismic retrofitting and replacement of a portion of the Bay Bridge. Global’s crews headed the marine portion of the project along with a team comprised of Fugro West for navigation, CS Marine for barges and derricks, and Longitude 123 for project management, plans and permitting. Global provided crew boat services for the marine operations and diving support throughout the project. The project required dredging more than 1,000 lineal feet of live gas pipeline with an existing burial of over 10 feet. Dredging was conducted within extremely stringent turbidity control. To meet these demands, we provided a Toyo suction-dredging system and the material was pumped into a sealed barge. The dredge material was transported to an offshore disposal site where it was pumped off. The amount of material removed was in excess of 43,000 cubic yards. Other aspects of the project included assisting with the lifting of existing gas lines after ARB directionally drilled out to a casing placed at the exit hole. We provided all offshore handling of the new 1,000-foot segment. After the new pipeline was installed and tested, the old segment was removed and the new line backfilled.